We have urgent requirement for Academic counselor position for Shadipur Location. Please find below the JD for the same. Solve the inquiry over phone. Managing center and related work. Interact with students on phone/face to face to solve their career related queries. Other Benefits: Performance based incentives & 2 Paid leaves/ Month. Company is an organization complete dedicated in the field of investment and finance. 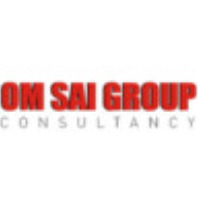 We offer financial research & consultancy various MNCs and local companies. Also, it is a premier institute in investment and finance related courses. They are training in over 20 countries and professionals from more than 90+ MNCs have already joined their programs. They are an authorized exam prep provider for GARP FRM Exam USA. If Interested, kindly send your updated CV to sharique.osg777@gmail.com or you can contact me on 9911335205.